The Schwerer Wehrmachtschlepper (sWS) was developed as a medium half-track and used to transport supplies to front-line troops or as a towing vehicle for the light artillery. However, on the large rear flat load compartment some other applications have been developed. 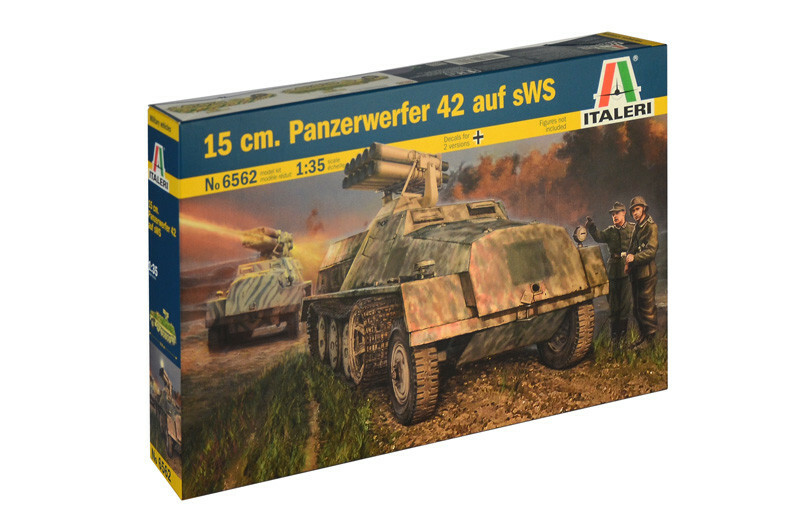 One modification was the Panzerwerfer 42 auf sWS, a 10 barreled 15 cm Nebelwerfer 42 rocket launched placed over an armored ammunition storage compartment. The rocket launcher, developed as device to create smoke screens, was soon used as real artillery able to launch high-explosive ammunition. It could shoot the rockets with impressive and deadly effects. The original structure of the transport vehicle was strengthened with additional shields to protect the crew from the enemy fire and from the negative effects of the rocket launcher.